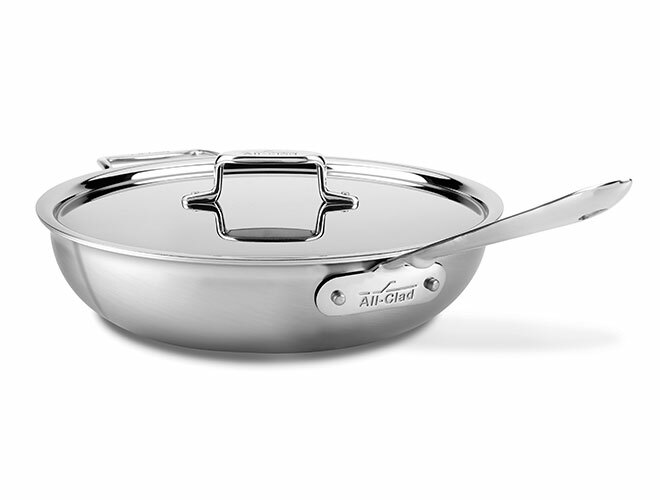 All-Clad d5 Brushed Stainless Weeknight Pan is perfect for one-pot classics such as sauteing, simmering and braising. 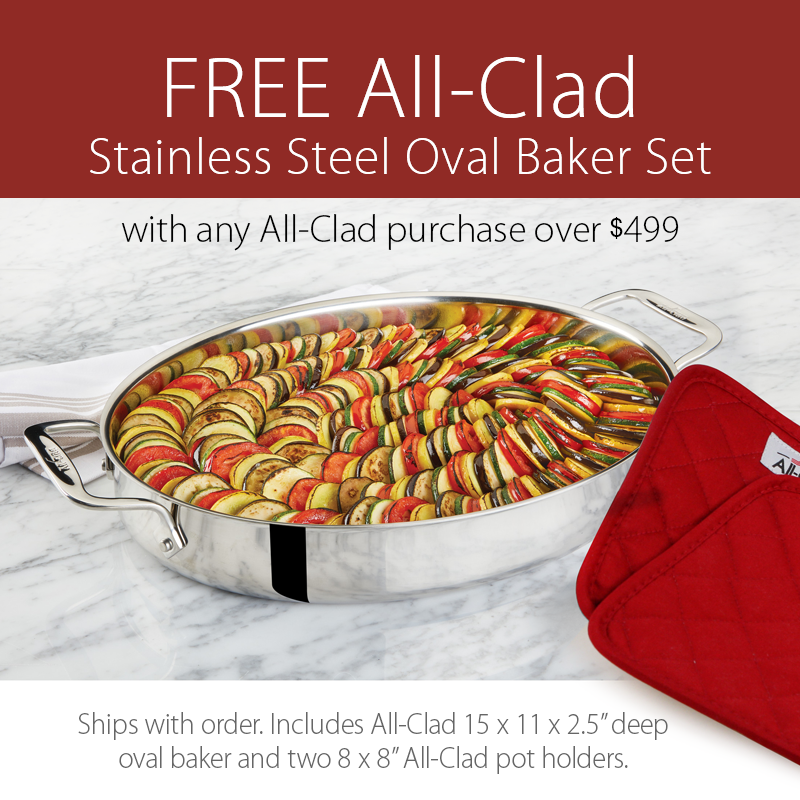 All-Clad d5 stainless cookware, maintains the classic style of the original stainless cookware with new technology & enhancements. The d5 technology is made up of 5-alternating layers of stainless steel and aluminum. The alternating layers promote lateral flow of cooking energy and eliminates hot spots and ensures uniform browning. In addition, the patented stainless steel core significantly improves geometric stability to prevent warping. Other features include: a new stainless steel broader handle with softer edge that improves comfort, and offers better balance; newly designed loop/helper handle improves grip & stability when lifting. 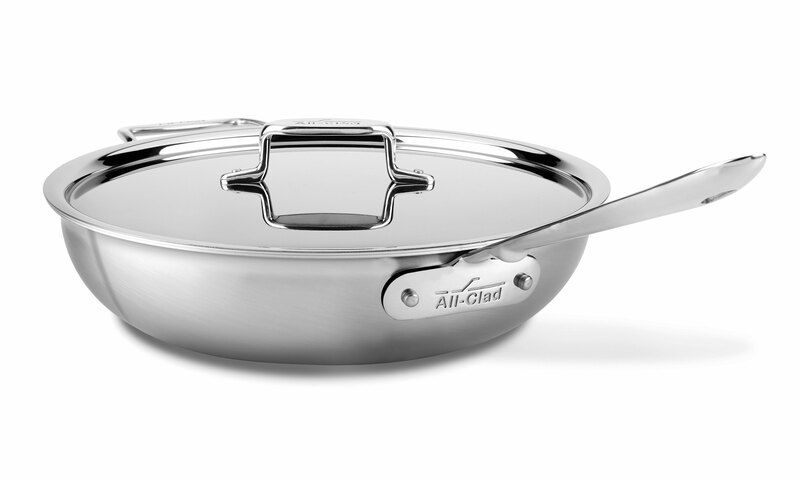 The lid handle features a deeper clearance between the handle and lid. New flared rim allows for precise drip-free pouring around the entire perimeter of the vessel. With these new enhancements d5 has to offer, you will consistently produce outstanding results. Lifetime Warranty, Made in USA.